Apart from a formal bankruptcy (Chapter 7 or 11), there are two basic approaches to maximizing enterprise value for underperforming and/or under-capitalized technology, life science, medical device, digital marketing, information & cyber security and solar companies and their Intellectual property: ‘Date Certain M&A Process’ and an Assignment for the Benefit of Creditors (ABC). Both of these processes have significant advantages over a formal bankruptcy in terms of speed, cost and flexibility. Gerbsman Partners’ experience in utilizing a Date Certain M&A Process has resulted in numerous transactions that have maximized value anywhere from two to nine times what a normal M&A process would have generated for distressed assets. 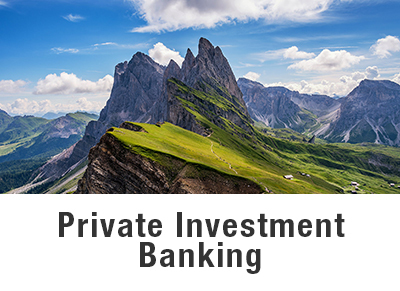 With a ‘Date-Certain M&A Process’ , the company’s Board of Directors hires a crisis management/private investment banking firm (“advisor”) to wind down business operations in an orderly fashion and maximize value of the IP and tangible assets. 2. Develop a strategy/action plan and presentation to maximize value of the assets, including drafting sales materials, preparing information due diligence war-room, assembling a list of all possible interested buyers for the IP and assets of the company, and identifying and retaining key employees on a go-forward basis. 3. Stabilize and provide leadership, motivation and morale to all employees. 4. Communicate with the Board of Directors, senior management, senior lender, creditors, vendors and all stakeholders in interest. The company’s attorney prepares very simple “as is, where is” asset-sale documents (“as is, where is – no reps or warranties” agreements is very important as the board of directors, officers and investors typically do not want any additional exposure on the deal). The advisor then contacts and follows-up systematically with all potentially interested parties (customers, competitors, strategic partners, vendors and a proprietary distribution list of equity investors, investment bankers and lawyers in Europe, Israel, China, Australia, India and the US). It also includes the coordination of their interactions with company personnel and the arrangement of on-site visits. Typical terms for a “Date Certain M&A” asset sale include no representations and warranties, a sales date typically three to four weeks from the point that sale materials are ready for distribution (based on available CASH), a significant cash deposit in the $200,000 range to bid, and a strong preference for cash consideration and the ability to close the deal in 7 business days. Date Certain M&A terms can be varied to suit needs unique to a given situation or corporation. For example, the Board of Directors may choose not to accept any bid or to allow parties to re-bid if there are multiple competitive bids and/or to accept an early bid. 5. The typical workflow timeline, from hiring an advisor to transaction close and receipt of consideration is five to six weeks. Such timing may be extended if circumstances warrant. Once the consideration is received, the restructuring/insolvency attorney then distributes the consideration to creditors and shareholders (if there is sufficient consideration to satisfy creditors) and takes all necessary steps to wind down the remaining corporate shell, typically with the CFO, including issuing W-2 and 1099 forms, filing final tax returns, shutting down a 401K program, D&O insurance and dissolving the corporation, etc. 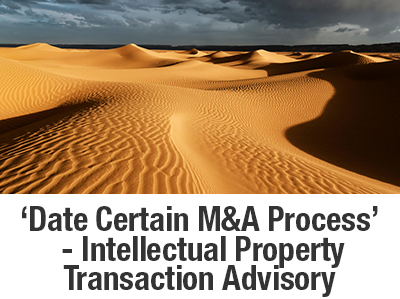 Speed – The entire process for a ‘Date Certain M&A Process’ can be concluded in five to six weeks. Creditors and investors receive their money quickly. The negative public relations impact on investors and board members of a drawn-out process is eliminated. If circumstances require, this timeline can be reduced to as little as two weeks, although a highly abbreviated response time will often impact the final value received during the asset auction. 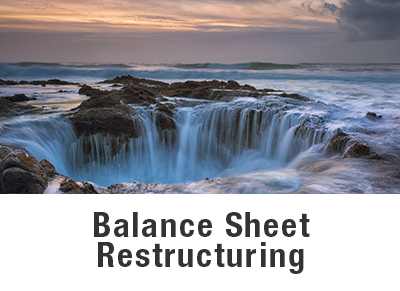 Reduced Cash Requirements – Given the ‘Date Certain M&A Process’ compressed turnaround time, there is a significantly reduced requirement for investors to provide cash to support the company during such a process. 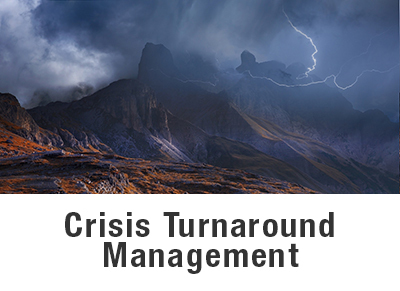 Value Maximized – A company in wind-down mode is a rapidly depreciating asset, with management, technical team, customer and creditor relations increasingly strained by fear, uncertainty and doubt. A quick process minimizes this strain and preserves enterprise value. In addition, the fact that an auction will occur on a specified date usually brings all truly interested and qualified parties to the table and quickly flushes out the ‘tire-kickers.’ In our experience, this process tends to maximize the final value received. Cost – Advisor fees consist of a retainer plus an agreed percentage of the sale proceeds. Legal fees are also minimized by the extremely simple deal terms. Fees, therefore, do not consume the entire value received for corporate assets. Control – At all times, the board of directors retains complete control over the process. For example, it can modify the auction terms or even discontinue the auction at any point, thus preserving all options for as long as possible. Clean Exit – As the sale process is private, there is no public disclosure. Once closed, the transaction can be portrayed as a sale of the company/assets with all sales terms kept confidential. Thus, for investors, the company can be listed in their portfolio as sold, not as having gone out of business. To this end, the insolvency counsel then takes the lead on all orderly shutdown items. Longer Time-to-Cash – Creditors and investors will not receive proceeds for at least 7 months (more quickly than in a bankruptcy but far slower than with a “date-certain” auction). Higher Cost – Ultimately, ABCs tend to be more expensive than a Date Certain M&A Process. It is not uncommon for the entire value received from the sale of company assets to be consumed by fees and/or a transaction for maximizing value may not be consummated in a timely fashion. Gerbsman Partners focuses on maximizing enterprise value for stakeholders and shareholders in under-performing, under-capitalized and under-valued companies and their Intellectual Property. Since 2001, Gerbsman Partners has been involved in maximizing value for 103 technology, medical device, life science, digital marketing, information & cyber security and solar companies and their Intellectual Property and has restructured/terminated over $810 million of real estate executory contracts and equipment lease/sub-debt obligations. Since inception, Gerbsman Partners has been involved in over $2.3 billion of financings, restructurings and M&A transactions.